For Nadine Ahrabi-Nejad ’14 (Marketing), the last internship of her college career led to a full-time job with one of the best-known humanitarian organizations in the world. A Massachusetts native, Nadine originally planned to attend Northeastern University in Boston. 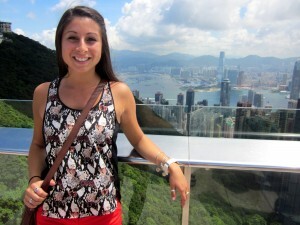 At the last moment, she switched to New Paltz, which she heard about from family friends. Nadine worked as a marketing intern with Médecins Sans Frontières (Doctors Without Borders) as part of the inaugural year of the SUNY Global Engagement Program, in which students hold internships with globally engaged organizations in New York City while conducting research and critically reflecting on their work with other students. Nadine said the SUNY program served as an excellent foundation for her job, since she is required to interact with people of many cultures and be aware of global situations that could affect her daily operations. The Global Engagement Seminar component of the program gives students a critical, social scientific understanding of the role these organizations play in the world. In addition to the internship experience, students develop substantive knowledge of the issues they are working on through a research colloquium, a substantive research paper related to an issue that their organization addresses. 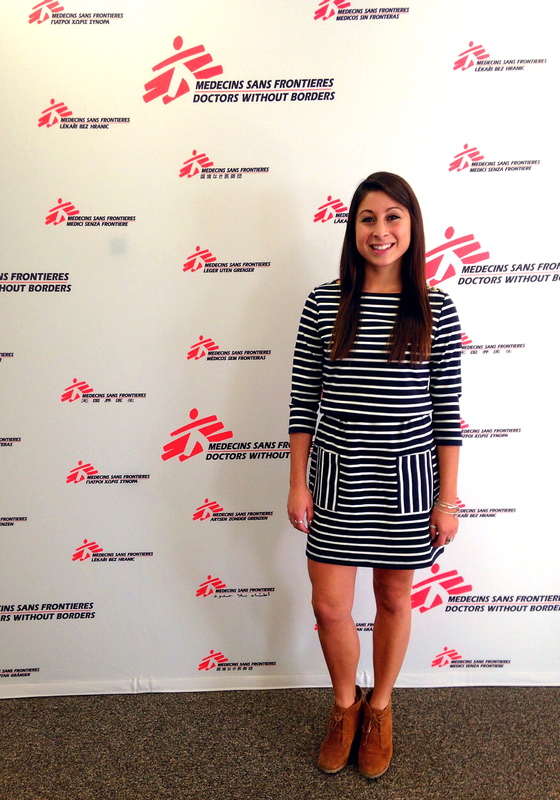 As part of her SUNY coursework, Nadine conducted a comparative research project where she surveyed different branches of Doctors Without Borders to explore global donor behavior. As a fall 2013 intern at Doctors Without Borders, Nadine assisted with direct mail and email marketing, fundraising events, and donor acknowledgment. She participated in weekly brown bag lunches where she heard from doctors returning from the field and learned about the organization’s philanthropic medical aid work. As she neared graduation and was looking for full-time employment, Nadine’s internship supervisor emailed her about a temporary one-month position, and asked if she’d be interested. “I was really excited, appreciative, and flattered that they sought me out and asked me to come back,” she said. 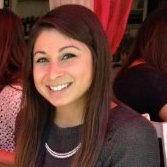 Nadine returned to the organization in June 2014, and what started as a two-day-a-week position quickly turned into five days a week. One month became three. When her supervisor got promoted, her position opened up and Nadine applied. Despite preparing herself not to get the job (she was warned it wasn’t entry level), she was hired full time in July 2014 as a direct marketing associate for creative and production. Nadine not only enjoys her marketing position, but she considers herself fortunate to work for a humanitarian organization for which she cares deeply. She relishes the opportunity to hear from experts in the field as she did as an intern, and immensely appreciates the organization’s openness. “It’s a very transparent organization. We get to hear all of the rationale behind the decisions that are being made,” Nadine said. “Especially right now with the Ebola crisis, it’s really interesting to be at the forefront and hear the experts. The same people who are talking to the UN and White House are coming into our office and telling us what’s happening.